I saw this Bible on the publisher’s web site and was intrigued by it. It was a very novel idea at least and a practical one at best. 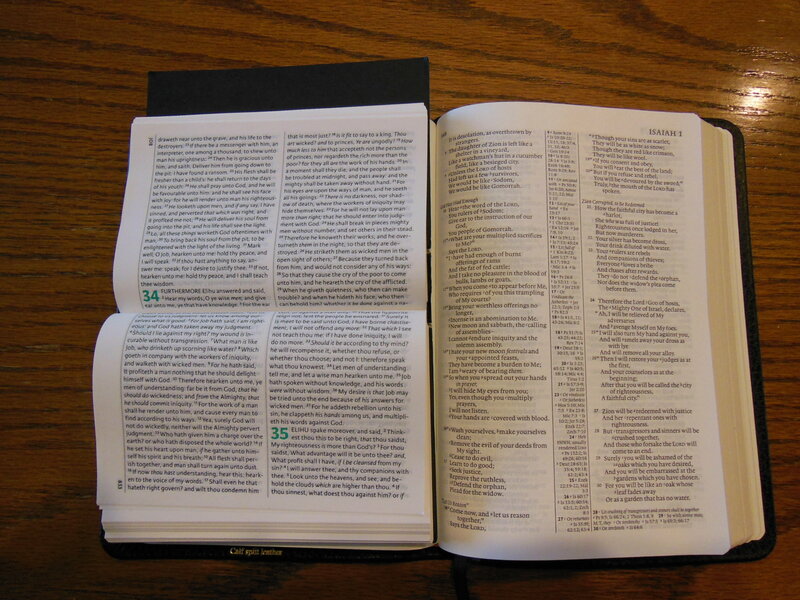 Unlike traditionally bound compact or pocket editions this Bible does not open and read like the same. With a traditionally bound book you would open the front cover from the right to the left and read from the top left to the right and proceed down the page until you move on to the next page to the right and then you would turn the page and continue. In the picture above I have it laid open on top of a Cambridge Pitt Minion NASB. In the Transetto you lift the front cover up and you are presented with the two pages becoming one book width page laid out as a double column text format to be read as one page, from to left to right all the way to the bottom of the other open page. Then you would flip up the next page and continue in the same way. The way you read it is not the only unconventional thing about this Bible. 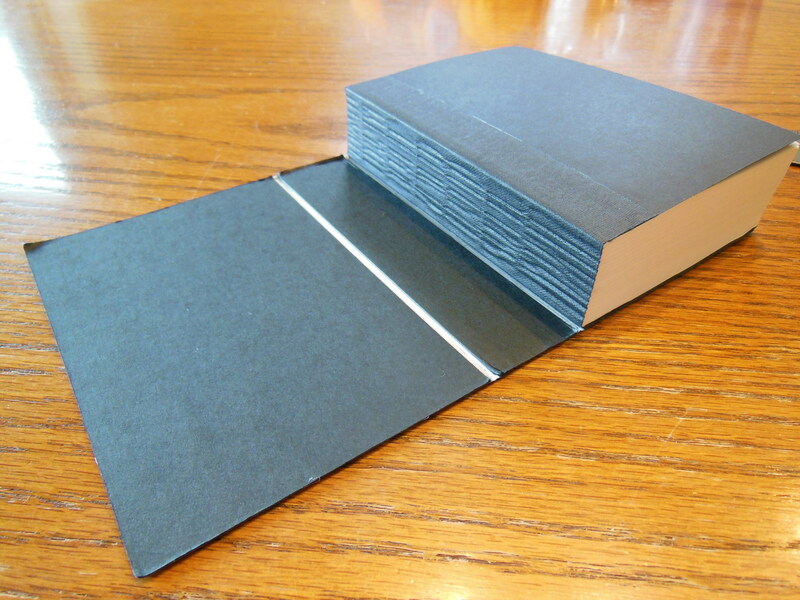 The cover is made of a reinforced card paper. It is not connected to the text block all the way around like a regular book. 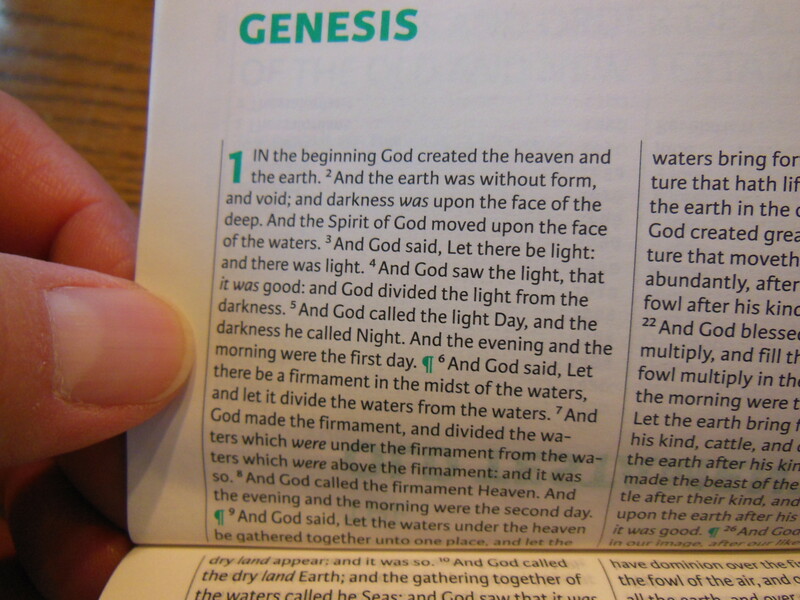 It is only glued to the text block on one side while the rest floats freely around the Bible when closed. 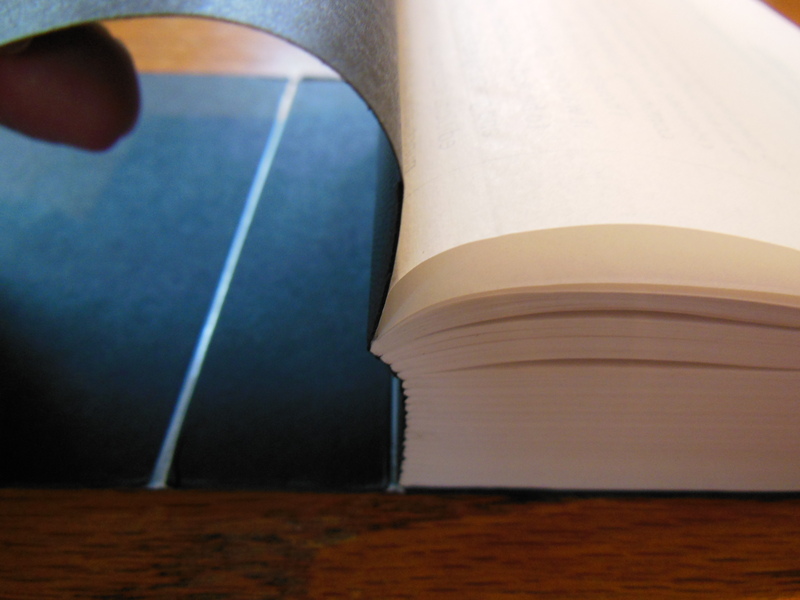 When opened and laid flat you can see the individual signatures and how they are sewn together in the spine. When opened towards the middle of the Bible you can see how the sewn binding allows the Bible’s spine to bend all the way around and back into itself. This is critical for the success of this kind of binding. 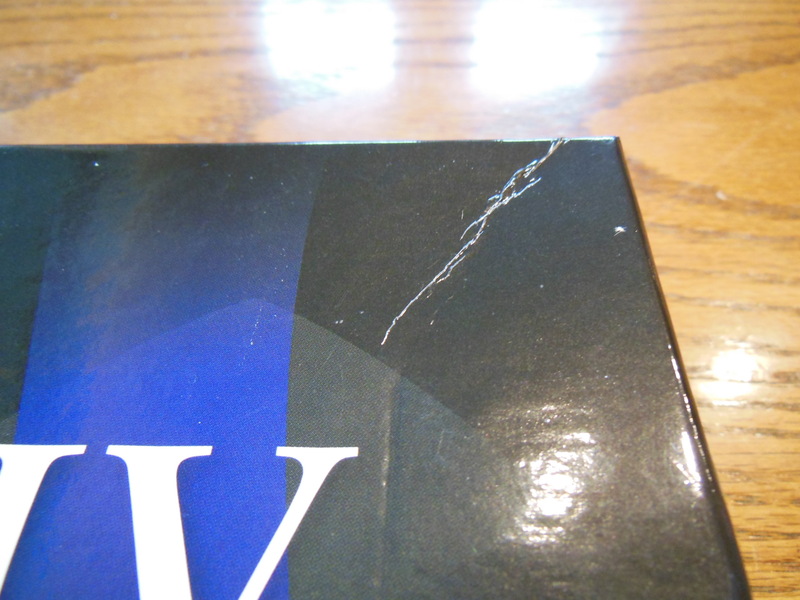 The only cons of this particular book that I noticed were the corners of the Bible were bent due to the lack of care involved in the shipping process, the flimsy quality of the cover material itself, turning pages up instead of right to left, and the lack of chapter and verse numbers next to the book names on the corners of the pages. For some reason someone in shipping at Cambridge thought it would be a good idea to package this Transetto KJV with a $250.00 KJV Concord Reference Bible in goatskin leather? The packaging would have been sufficient for just the Concord Bible by itself, but when you cram the Transetto in there on top of it all it is a different story. 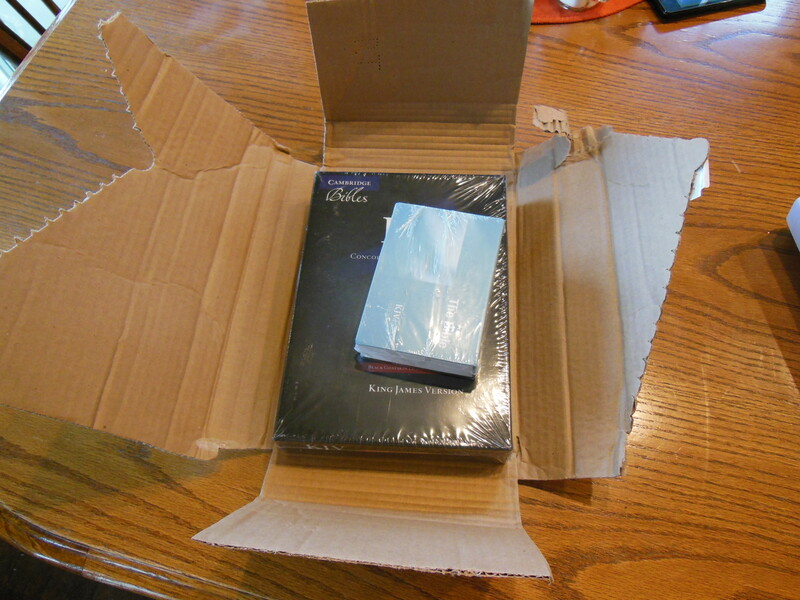 The package arrived mostly open due to shipping. 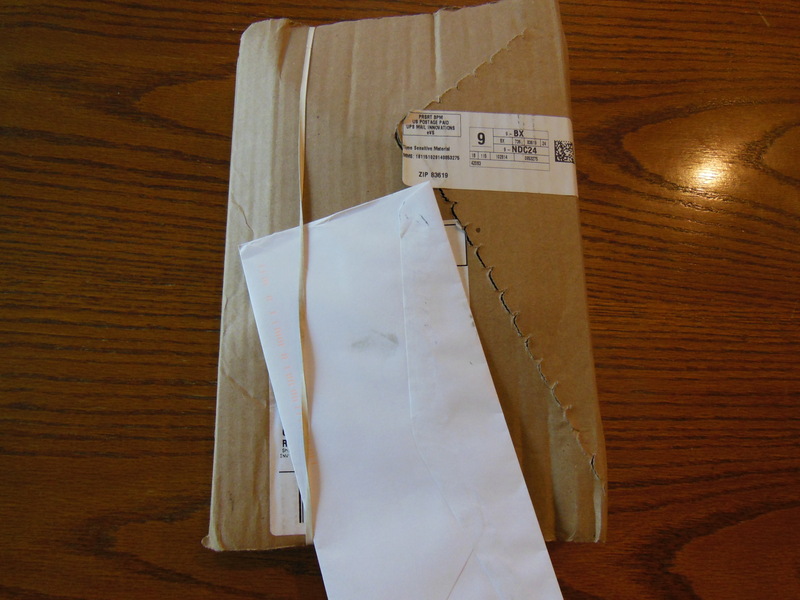 The USPS put a rubber band around it to keep it together. When I opened the package the box for the Concord Bible was caved in and creased. 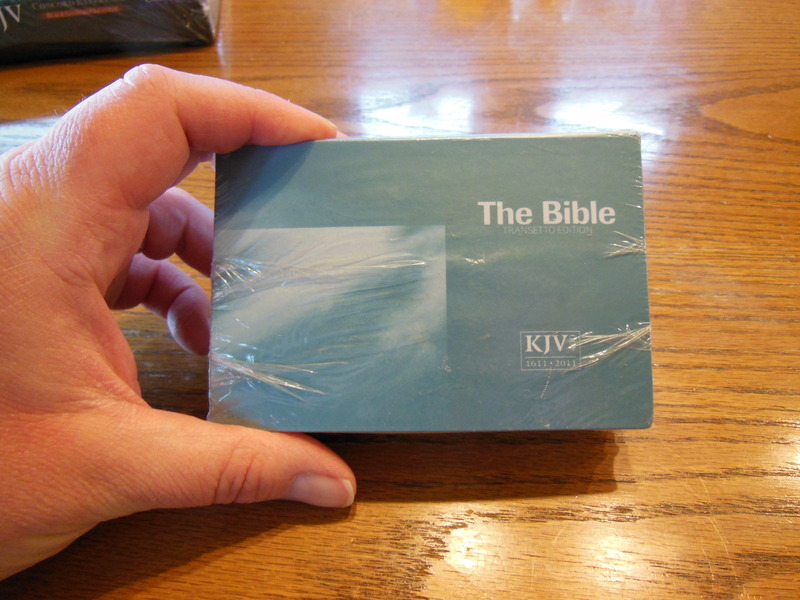 Most people like to keep their Bible boxes in nice shape to store their Bibles in. The Transetto had one corner smashed up about three quarters of an inch. This wrinkled the pages. If I had purchased these Bibles instead of getting them gratis for review purposes, I would have had to send the Transetto back for replacement. 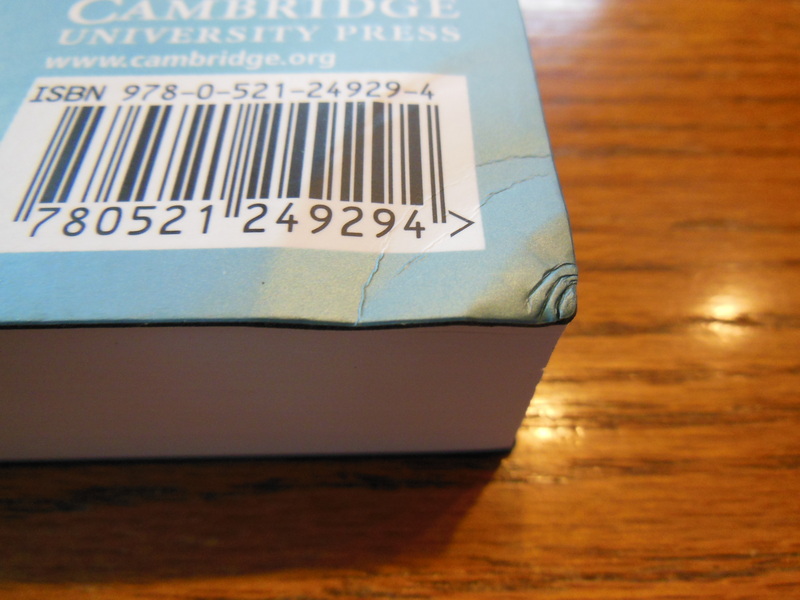 This would have cost Cambridge the shipping it should have paid in the beginning as well as a Bible. 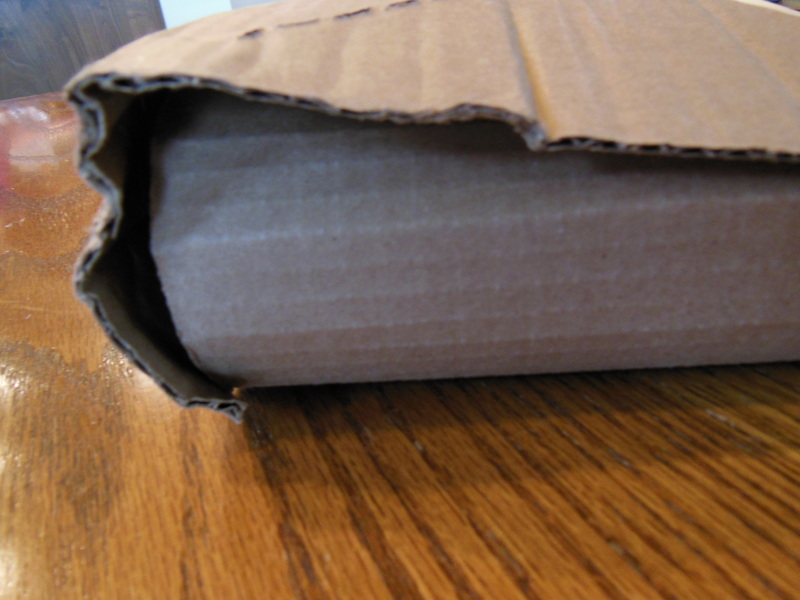 Proper shipping saves money and is better customer service and appreciation in the long run. The cover could be made a bit more sturdy or out of a more flexible fake leather material. They just need to do something a little different to protect the text block. 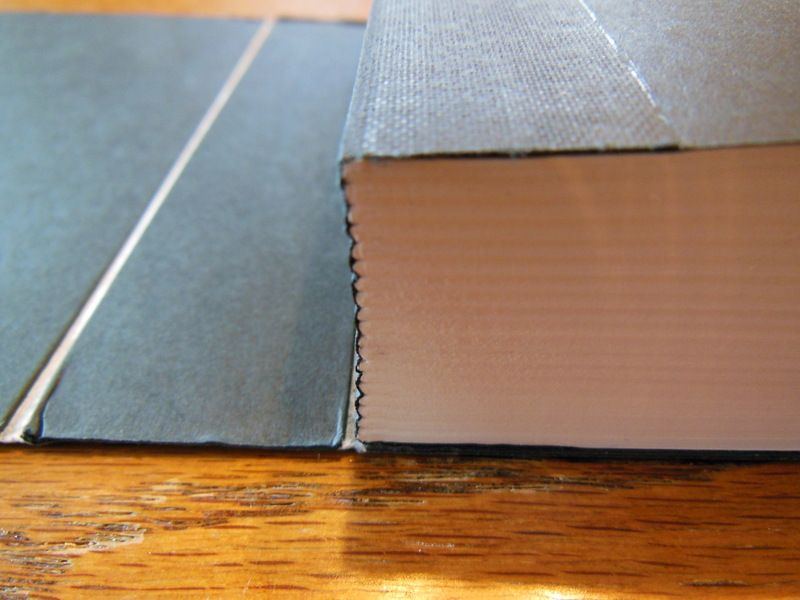 It is tough to do on an inexpensive, unique binding like the Transetto’s. It is not a big con, but one nonetheless. 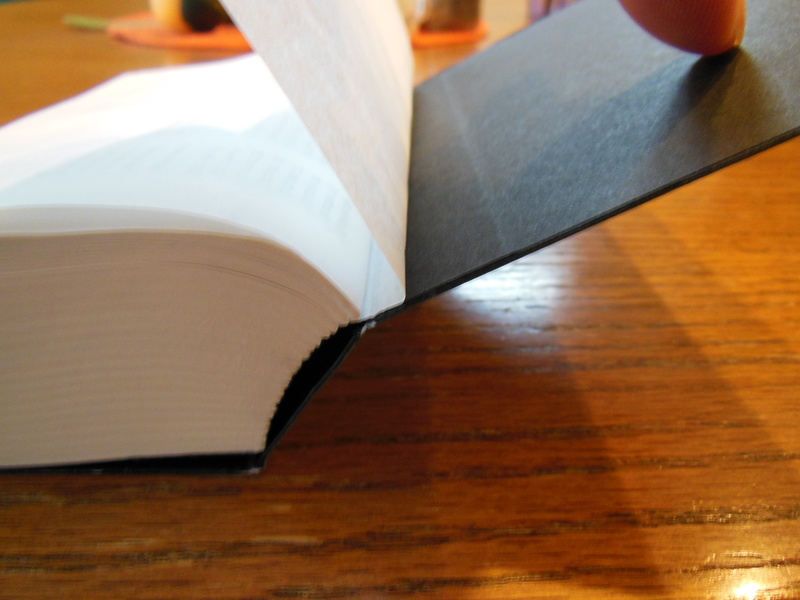 The unique binding makes turning pages counter intuitive. We are all used to doing it the common way so it takes some getting used to. That being said, it really isn’t a big con either. 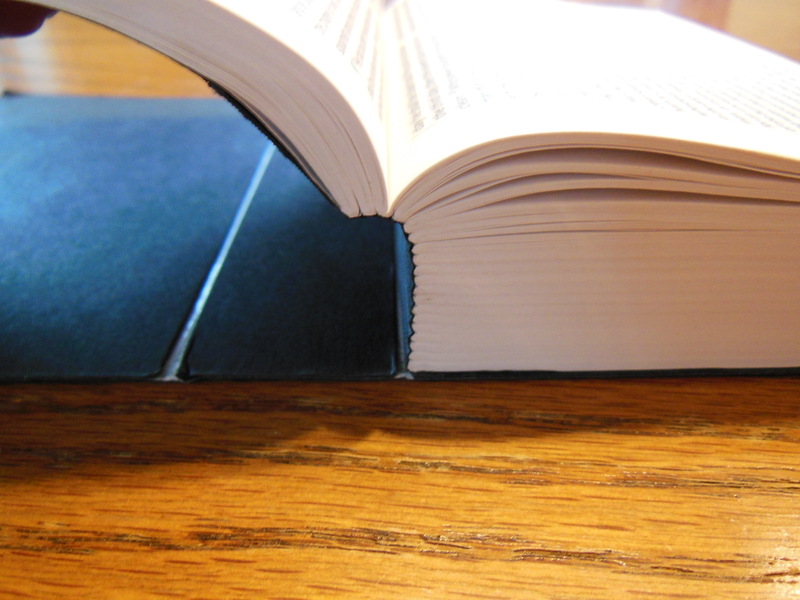 How many people have gotten used to hitting a button to turn a page with e-readers? It’s not a big deal. 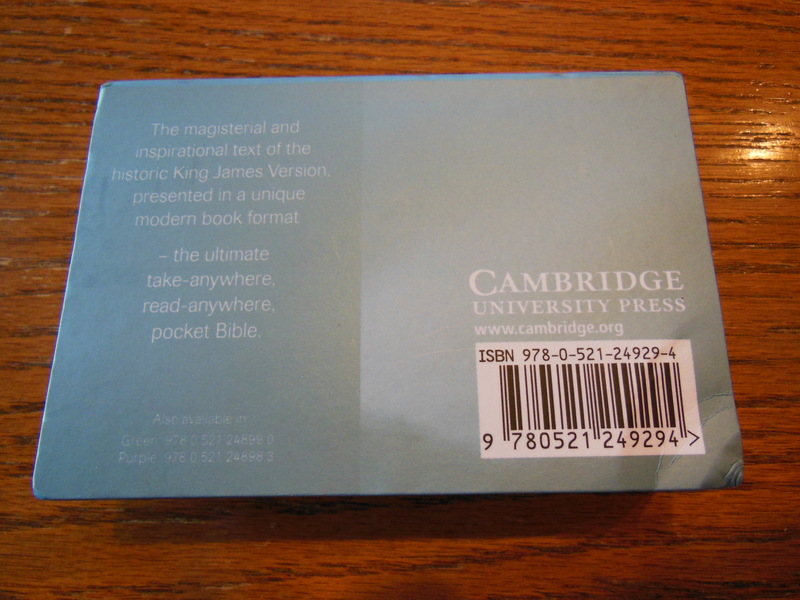 It wouldn’t have taken much for Cambridge to put the chapter and verse numbers on the pages along with the book names. It would have made turning to a specific spot much faster. I can understand why they didn’t do that. 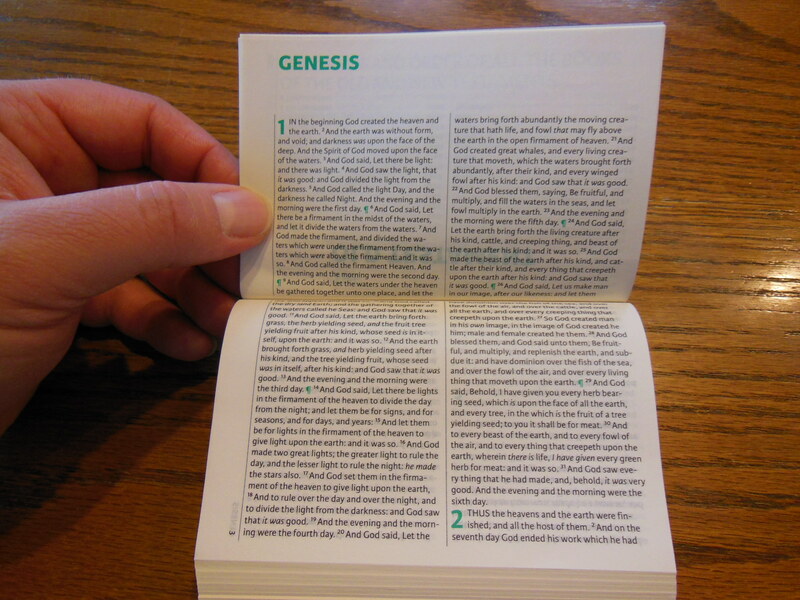 This is a small text Bible meant for reading daily, not as a reference Bible. We can’t expect too much from something this small and portable. The main reason for buying this, besides novelty is portability. With all of that in mind, there are more pros than cons or at least the pros are more significant than the cons in my opinion. If you are looking for as compact a Bible as you can find, that is still legible, then this is it. 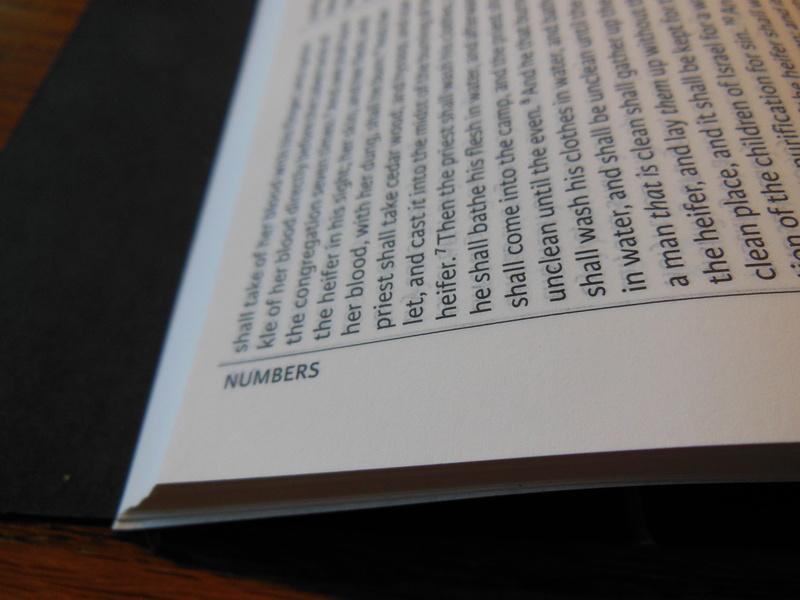 The layout enables the Bible to use a 7 point font and fill most of the space on the India paper making it easier on the eyes than conventional compact Bibles. 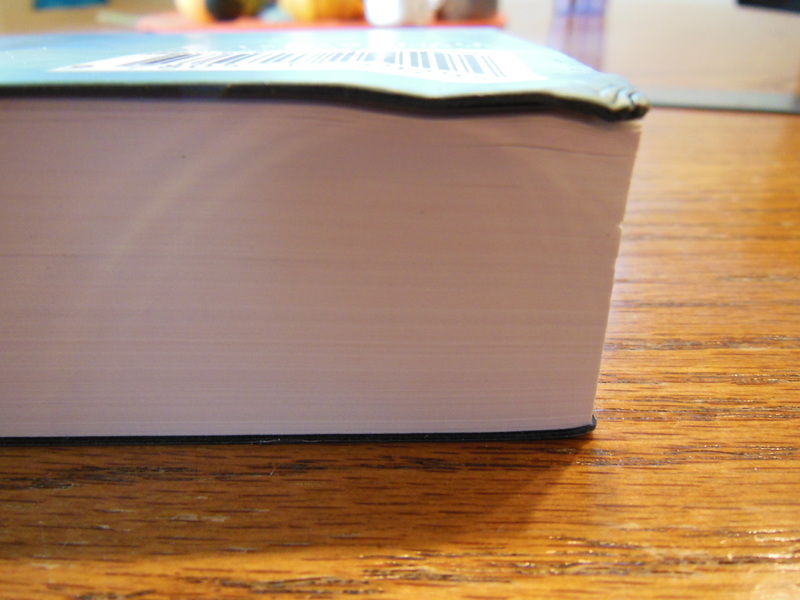 Most conventional compacts use between a 6 point font and a 6.x size font. 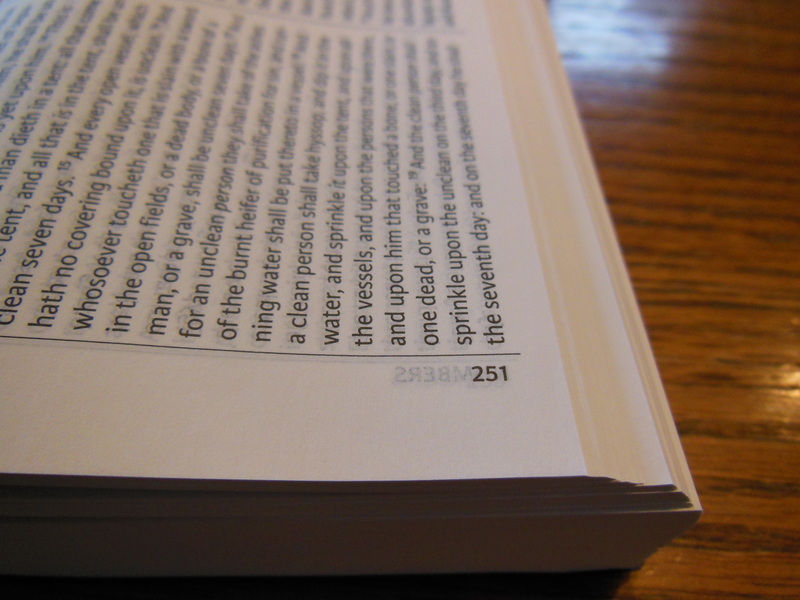 You have to buy what they call a large print compact and they are usually thicker and/or bigger in width and height. So if small, stowable, and legible are your primary concerns for a take anywhere compact then this is a very good option. You want it both ways? So does Thomas Nelson. 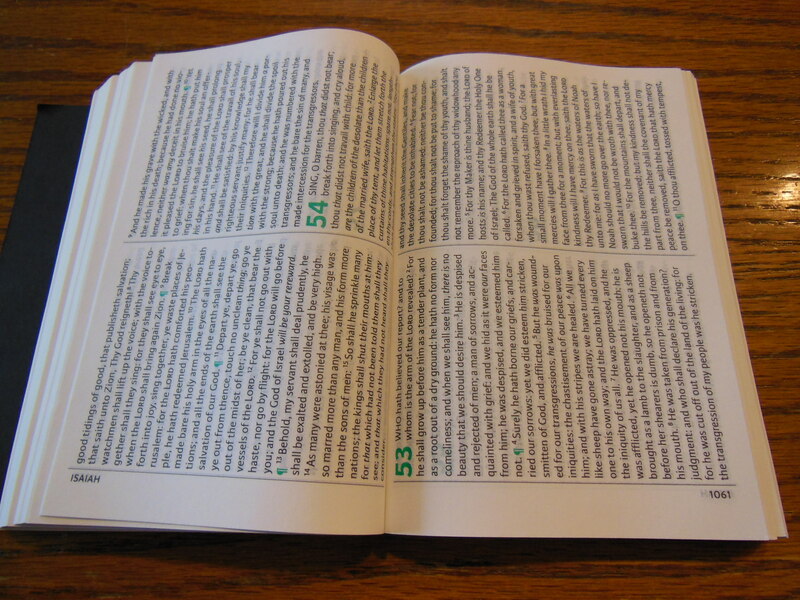 My Review of the Thomas Nelson Full Color Hardcover 2nd Edition Study Bible.